A major UK retailer is doing just that. The clothes will be on sale in a single section. UK RETAILER JOHN Lewis has taken the decision to remove gender-specific labels from its children’s clothing. The styles of clothing, be it jeans, shorts and dresses, will remain the same but they will now be labelled ”Girls & Boys” or “Boys & Girls”. John Lewis will also do away with separate sections of the store for girls and boys and will instead have a single section for children’s clothing. We’re asking if you think this is a good idea. 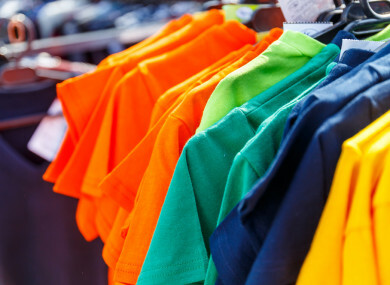 Today’s poll, Do you think getting rid of girls and boys children’s clothing labels is a good idea? Email “Poll: Do you think getting rid of girls and boys children's clothing labels is a good idea?”. Feedback on “Poll: Do you think getting rid of girls and boys children's clothing labels is a good idea?”.